Tell us about yourself—where you were born, where you live, that sort of thing.. I was born and raised in St. Louis, MO. When I married (for the 2nd and, yes, last time), we relocated to Seattle, WA. After my youngest child went out on her own, I moved around the country and worked as an office temp. Occasionally, I took a permanent job, but would eventually move again—Cincinnati, OH, the California coast just south of San Francisco, Raleigh, NC, back to Seattle. Finally, I settled in Raleigh. After working for IBM and Fidelity Investments, I retired to my little piece of land in Franklinton, NC (between Raleigh and the Virginia border). I am owned by a 14 lb. Chihuahua (Lanc-a-lot) and a 17 lb. tuxedo cat (Potter As In H-A-I-R-Y) and am allowed to live in their abode in relative peace and quiet—unless someone is on a tear or a leaf drops outside our door. Just before I retired, I began doing some research into my orphaned mother’s background. She’d always made me promise not to delve into her childhood, but she’d been gone for ten years and I knew that, if I didn’t do it, it might never be done an questions—made of greater import by her own attitude—might never be answered. There was one mystery that popped up in my research and it set my imagination flowing. When I relayed my imagined story to a friend, she encouraged me to write a book about it. What can I say? I fell for the oldest line in the world after, “Hey, mister, wanna friend for the night?” By the time I retired three months later, the story was written and it was the first of what is currently 21 books. Well, let’s see—I’ve written romance with mystery, mystery with romance, mystery without romance, five historical romance/mysteries, one mystery/romance series—everything from a single volume to a 12-book series, novellas and three three sagas. So, I guess it’s Historic/Romantic/Mystery Fiction. How’s that for a genre? Oh, there is absolutely nothing outlined about my stories. Sometimes I just start with a title and let loose the hounds…ah, characters. I let the voices in my head do hard stuff. Strictly seat of pants! Nora Roberts is the queen of my little world. Others who pay court are Patricia Cornwell, Janet Evanovich (I love putting humor into my stories), Sandra Brown is a princess, as is Lisa Jackson. You get the idea. Oh, this one is so easy! 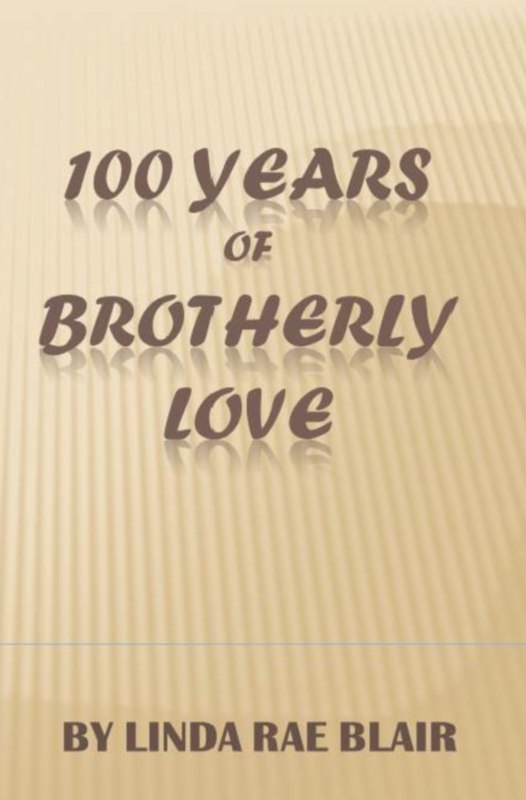 “100 Years of Brotherly Love”. It’s a saga that tells the story of three strong, hardworking men in New Mexico. Each has American Indian blood; two are related to a story that goes back, you guessed it, 100 years. It’s a story of friendship, staying true to your friends and your beliefs. It also tells the love story for each as well as solving a mystery involving them or those who are important to them. It really is a beautiful story and is set in the majestic scenery of New Mexico. I visited there as a child and never have forgotten it. In my very first book, they came from family. I think that’s fairly common for new writers. Then the voices began to shout instead of whisper and I’ve met some truly captivating characters. I love the Laird of Donnoch in “Elusive”, but who doesn’t love a man in a kilt. Trick, Chase and Adam from “100 Years of Brotherly Love” are purely imaginary. Best: Is there anything better than holding the print copy of your book in your hands for the first time? I think not! Worst: Getting a review where the reader absolutely rips your heart out. Ugh. Do people not realize how much words hurt? What’s the best/worst writing advice you ever got? Worst: The editor for my first book (via a vanity press—I know, please don’t say it!) told me to take out the romance. Since the story was a mystery/romance, I refused. I pretty much put out two within days of one another in January 2013. The first one, “Jones’d” is #12 in my Preston Andrews Mysteries series. 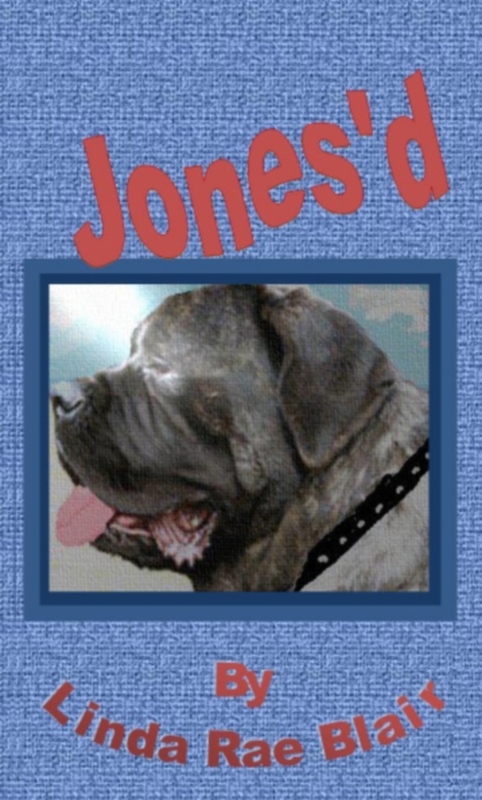 Jones is the 220 lb. dog of the main character, Preston Andrews. This one is told from the dog’s perspective. He doesn’t understand why his people keep doing this thing they call “work” when it upsets them as much as it does. He causes a great deal of…chaos—yes, sir, that’s the word for it—in this one. 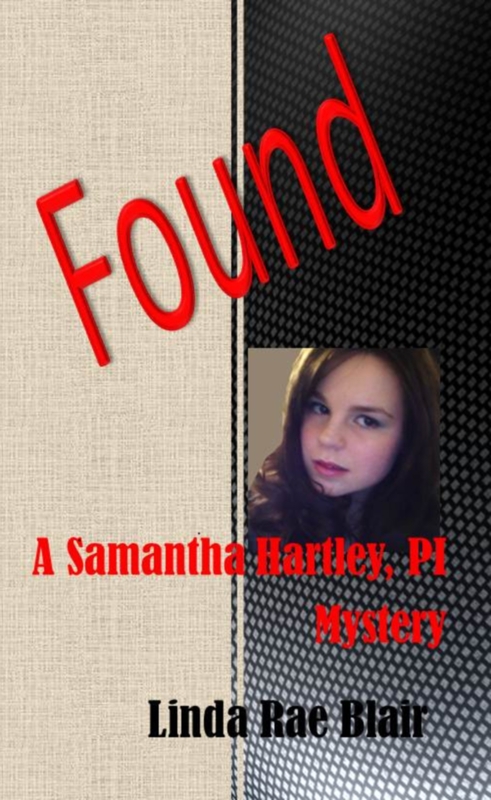 The other release was “Found”, the second in my new series, Samantha Hartley, PI. This series is a less violent, milder series for those who don’t want a lot of blood and gore—not that there’s an abundance of them in my other mysteries, but do want some romance, some mystery and somebody to dislike intensely! Sam, as we call her, is a novice PI who relies on her cop “friend” and the FBI agent who the Director has been assigned to keep her safe and alive. The background for Sam was introduced as a PI in “Pressing Reunion” in the Preston Andrews series. I guess I really just want them to know that this is a passion for me. It’s my legacy to my grandchildren. I love it when readers get my stories and appreciate all the hard work it takes to tell them. Self-inflicted punishment here. If you ask others for this info, you must be willing to share your own, I guess. Well, let’s see…hummm…I’m really pretty open with my readers…can’t really…can we come back to this one? Sure! (I’m writing this thing. I can do what I want, right?) How can we find out more about you and your work. Come visit my website or catch one or more of my Facebook pages! Oh, I’m almost everywhere on-line! Thank you for taking the time to talk to me today, Linda Rae. See, I knew I could do it. LOL Thanks, BK. Had a lot of fun doing it.